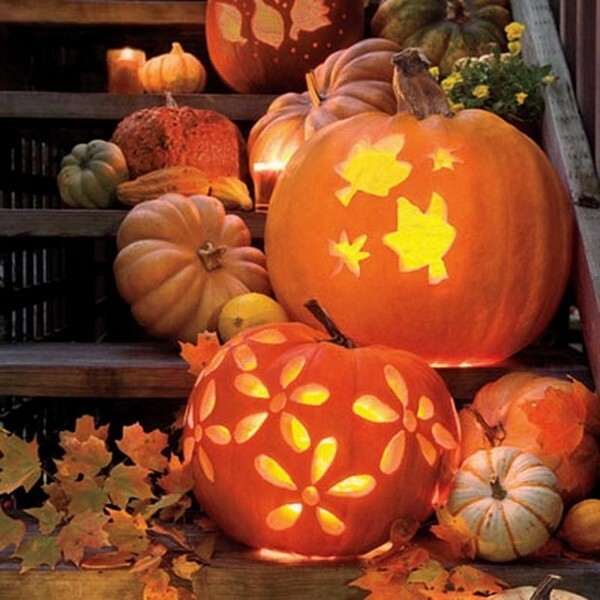 Pumpkin designs have always been one of the most popular Halloween decorations. 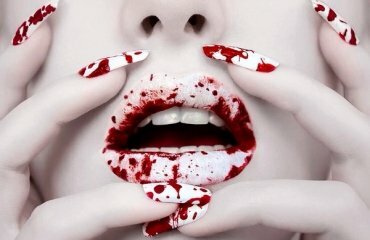 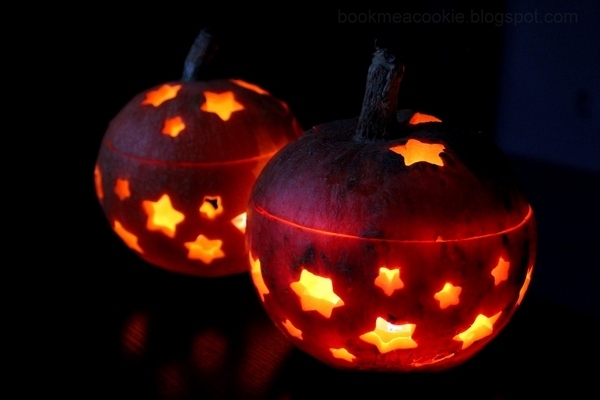 Halloween is a fascinating festival with a long tradition. 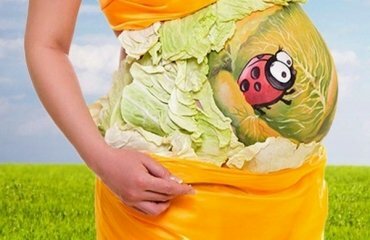 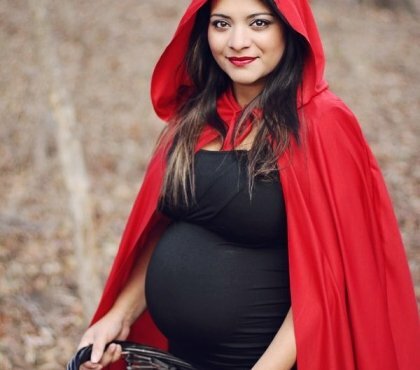 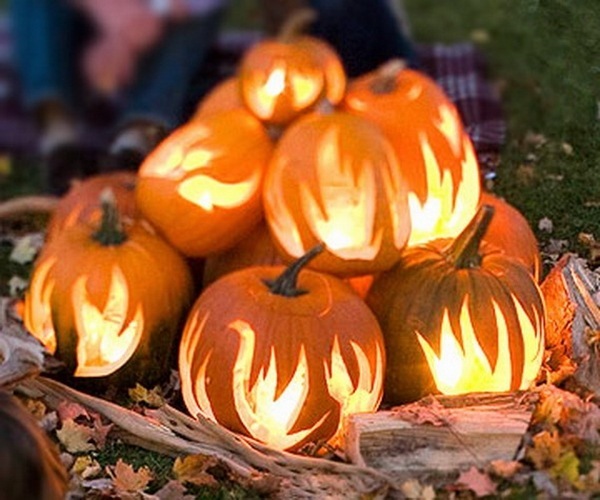 The exciting Halloween story begins with Celtic rituals for fruitful harvest, and is connected with Pagan and Christian celebrations. 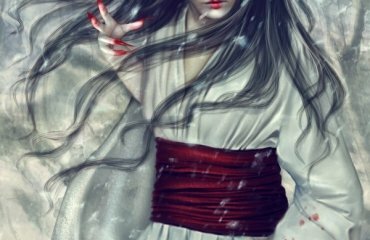 According to the legend, on this night, the dead wander through the world, before leaving the next day the earth forever. 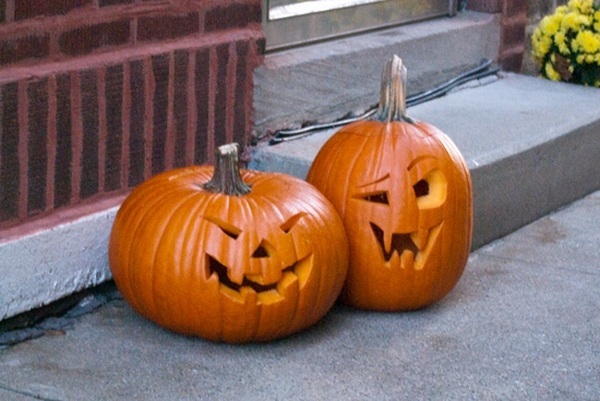 Typical Halloween symbols are the carved pumpkins. 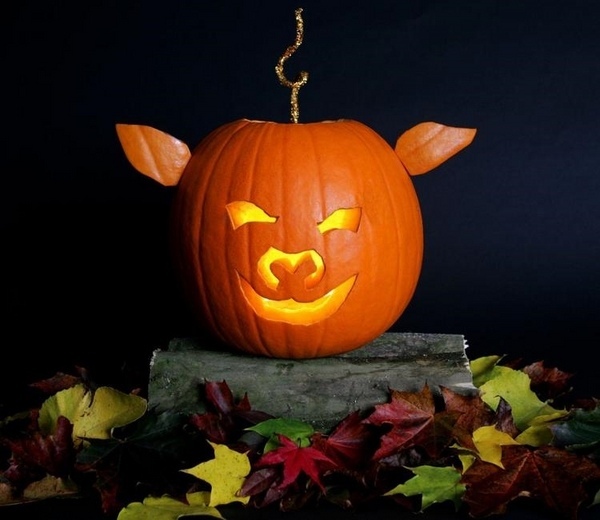 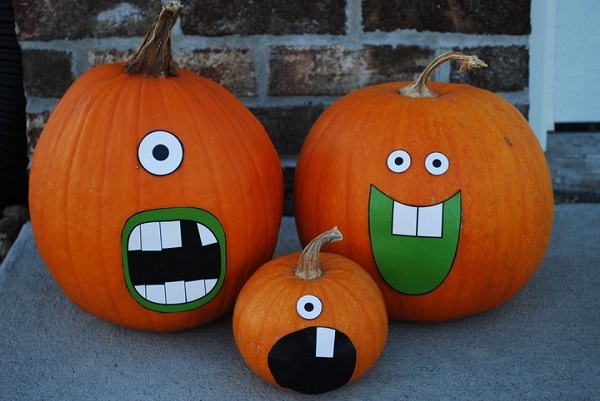 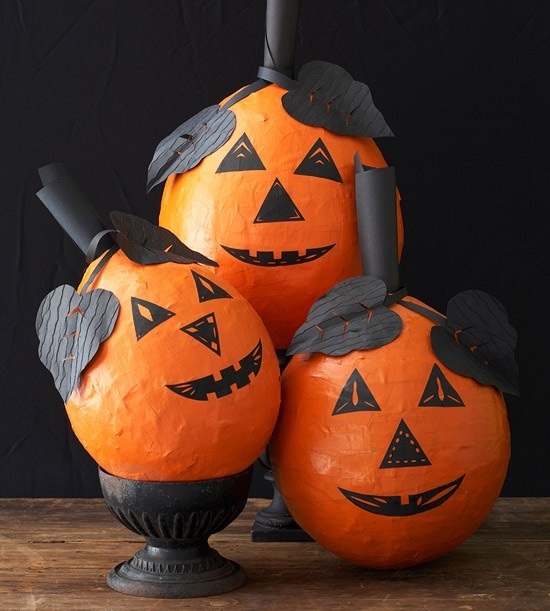 We have collected some interesting cool easy pumpkin ideas and pumpkin face ideas for you to help you get inspired for the holiday. 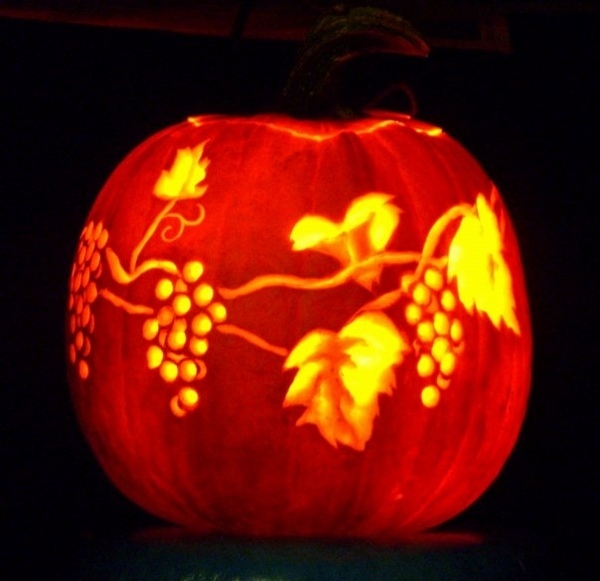 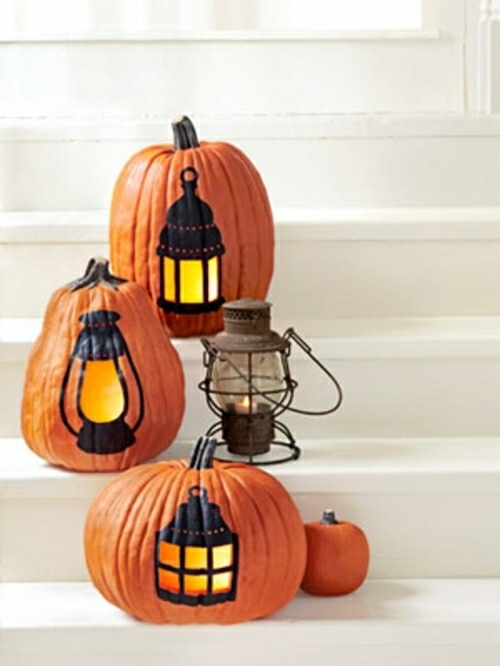 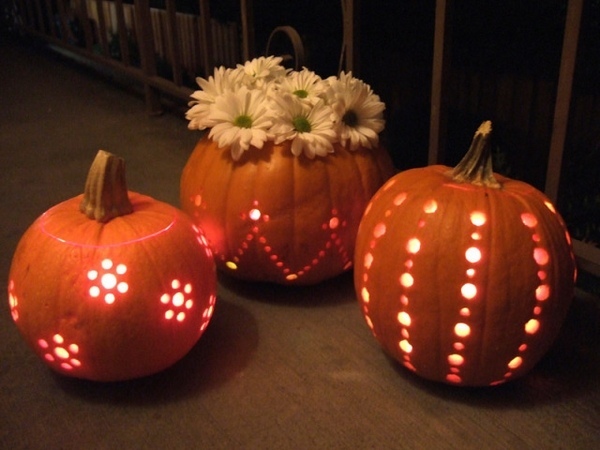 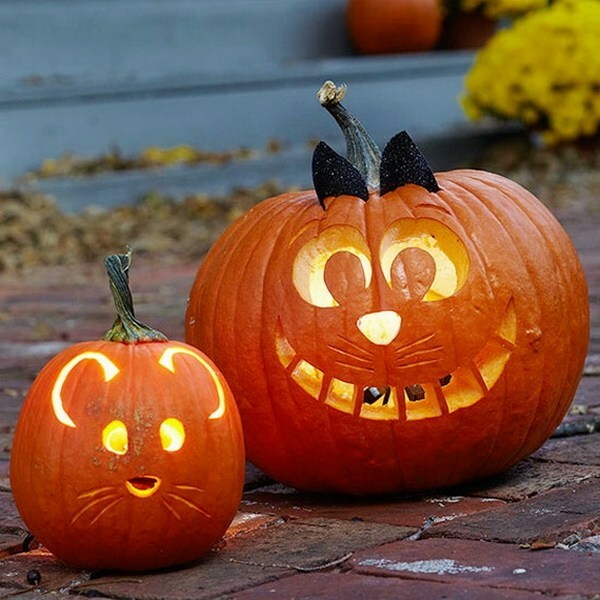 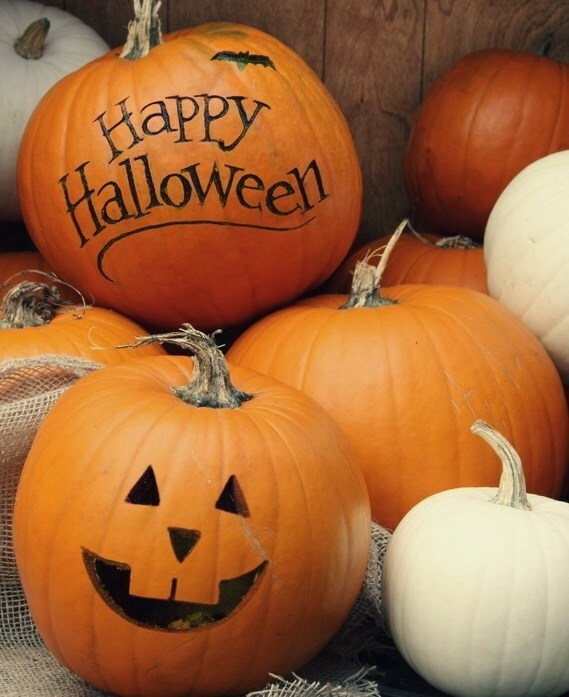 The most traditional Halloween pumpkin designs are the bright orange pumpkin lanterns! 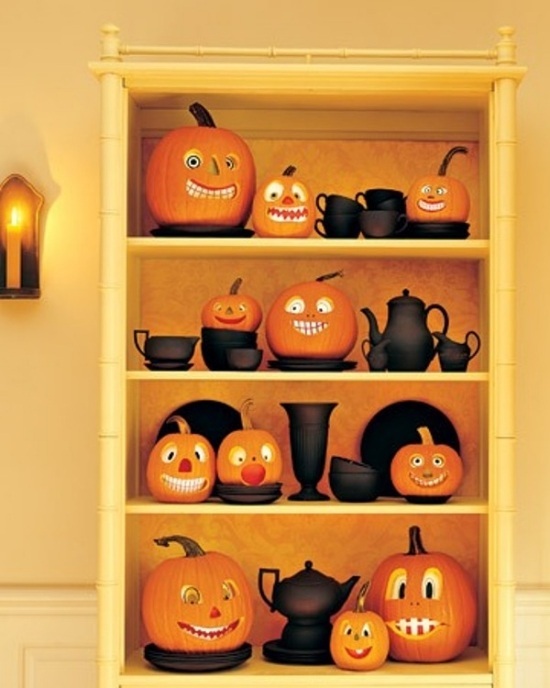 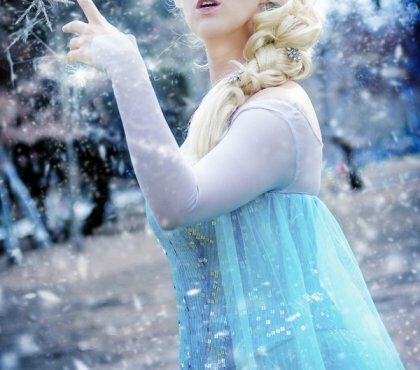 With funny or spooky grimaces they can be really amusing! 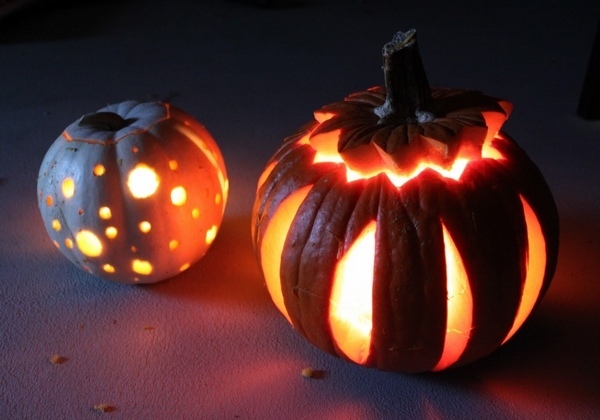 With a candle inside they may look quite creepy! 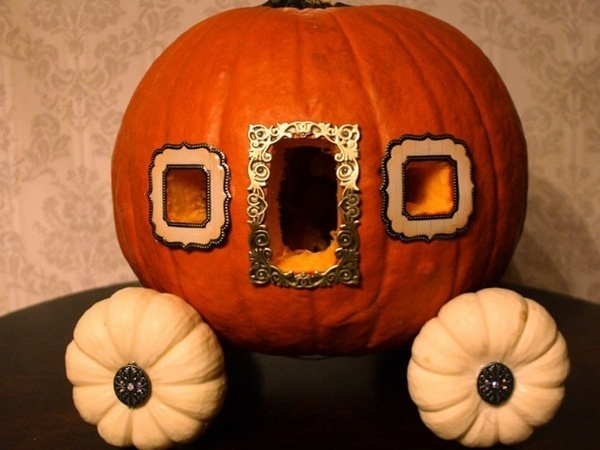 Invite your friends to a competition and see who creates the most attractive pumpkin design. 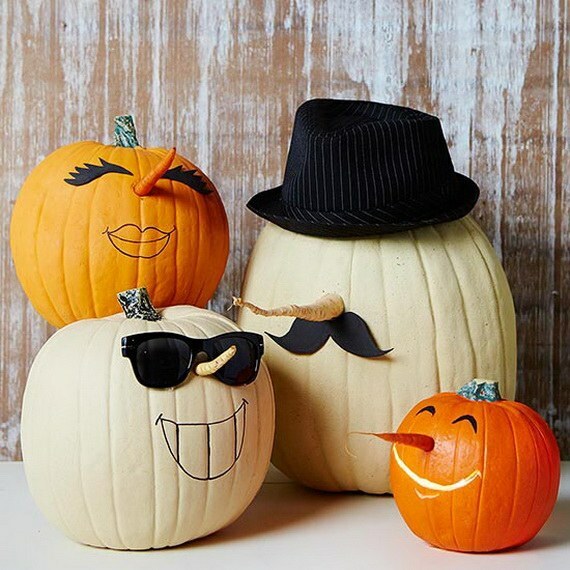 The gallery of pumpkin designs below will surely get you into Halloween mood and will give you great decoration ideas, so that your home will turn into a really spooky place. 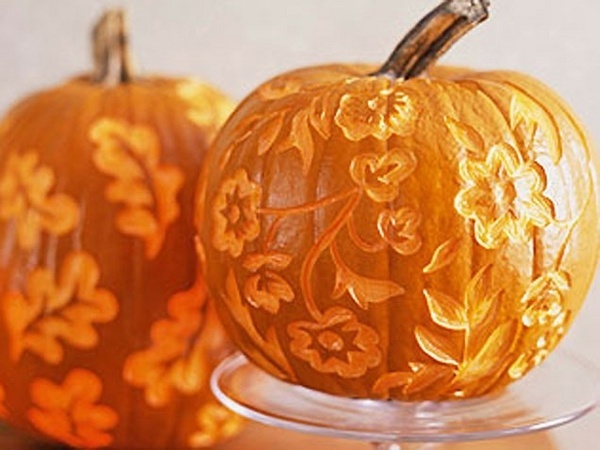 Sometimes carving requires a lot of time and skill and if you think it is tedious, difficult and time consuming. 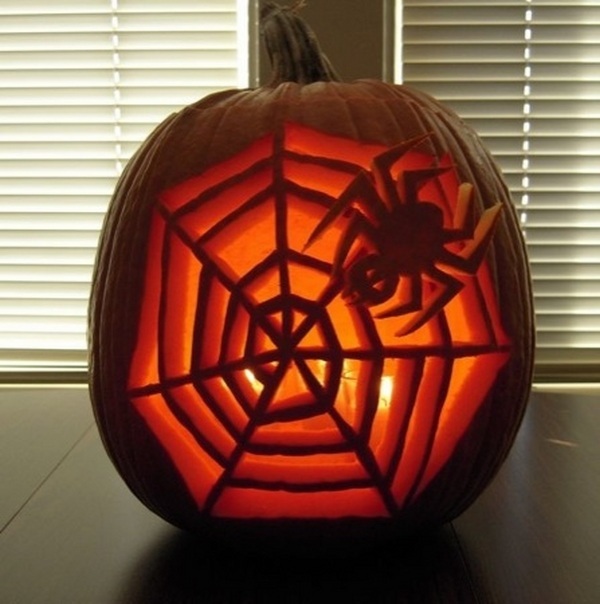 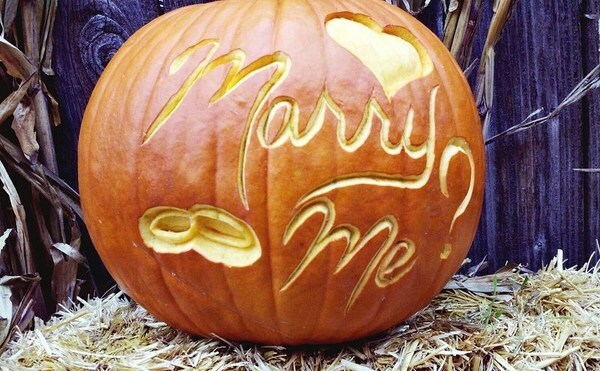 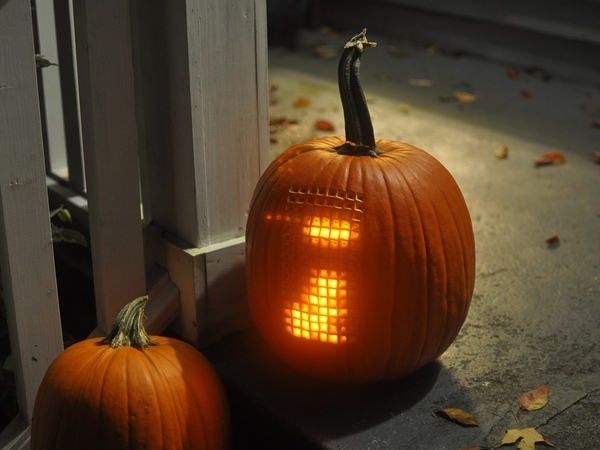 You will find some fantastic pumpkin designs that require no effort at all. 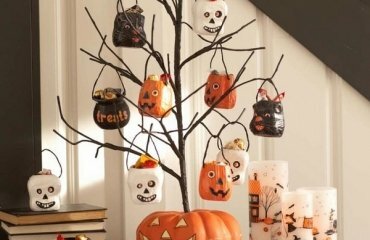 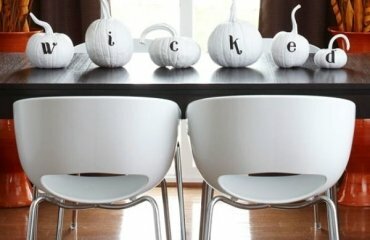 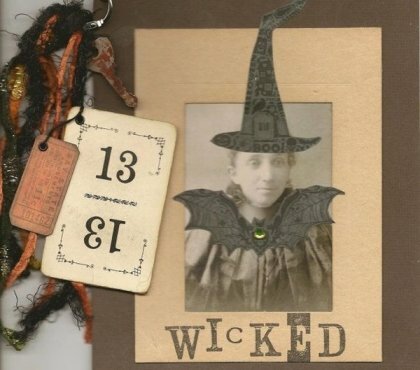 With a bit of creativity and some quick and simple ideas, you will have an awesome Halloween decoration. 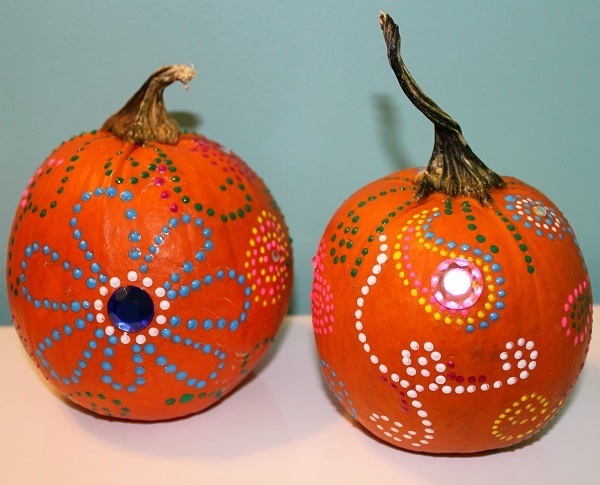 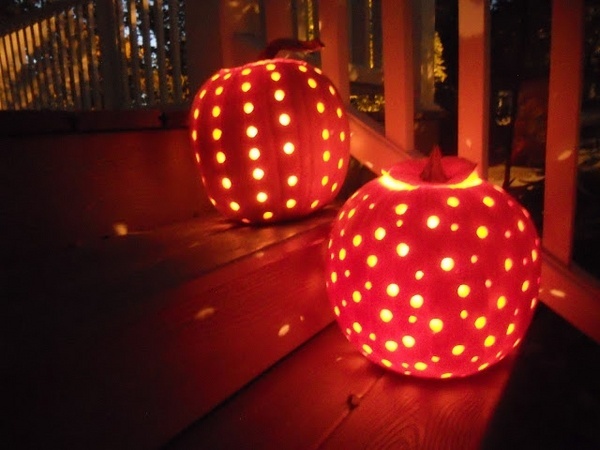 Some paint, rhinestones and fabric can help you to create original pumpkin designs.